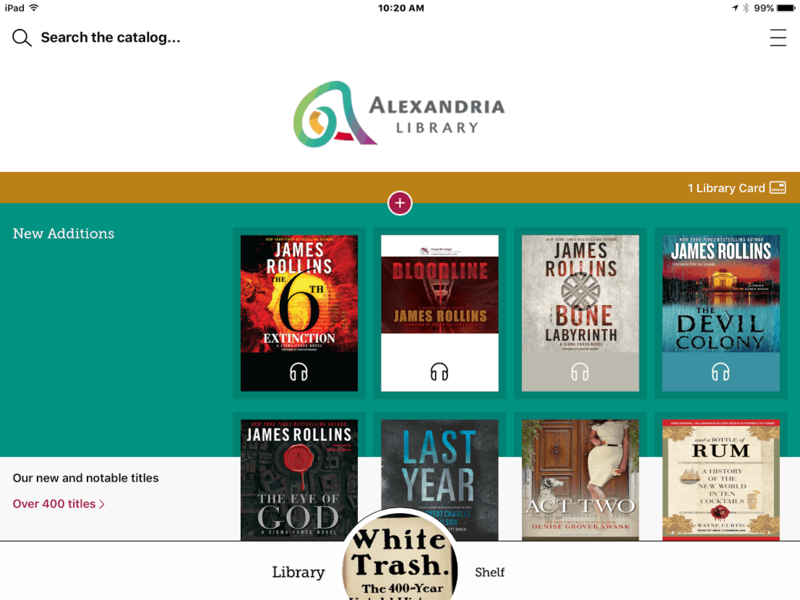 OverDrive is the leading vendor for library ebooks, and you can read ebooks checked out through OD on your Android or iOS Device, the Aura One, or a Kindle (if you're in the US). Now readers have a new option: Libby. OverDrive's R&D dept, OD Labs, has quietly started testing the new reading app which is said to be much easier to use than the existing OverDrive app. That certainly matches with what I have seen. After hearing about Libby on Teleread, I installed Libby this morning, and compared it to the existing OverDrive Media Console app. The new app is simpler, and has cleaner and less confusing library, settings, and other menus, while the older app has a few more options. For starters, Libby was a lot easier to get up and running than OD's other app. It found my library, and prompted me to enter my library card info. In comparison, the Media Console app makes you choose between logging in with Facebook, an OverDrive account, or a library card, and if you choose the latter option you will have to manually search for your library (or libraries). Once you've logged into Libby, you can immediately start checking out and reading ebooks. The older app, on the other hand, wants you to log in again - this time to the library's page. I'm going to skip the dozen extra steps required before you can read an ebook in the older app, and merely say that all of a sudden I am remembering why I stopped using OverDrive's apps. When it comes to actually reading an ebook, the older app has the more sophisticated formatting options but Libby is easier to understand and set up. The Media Console app has a clunky settings menu which lists margins, line spacing, font choice, etc, while Libby offers preset options with names like "scholar", "legible", "paperback", etc. Me, I like the more complicated options, but frankly I stopped using the OverDrive Media Console app a long time ago because it was such a pain to use. Today's tests reminded me of how much I hate the older app, which I will shortly be deleting from my phone. The Libby app, on the other hand, is going to stay. Libby is currently only available on Android and iOS, and only works with public library books. You can find the app in iTunes and in Google Play, and OverDrive has also posted an FAQ. I like the app! You can also use the custom formatting options at the bottom after preset options. But I can’t fond where to get kindle books on Libby & that’s devastating. The Kindle app has many pluses reading on the Libby app can start to compare. For one it’s connected to Goodreads.